Today I have a little list to complete. Pip at Meet me at Mikes came up with the master list and I have included a blank list at the end of the post, fancy a go? So on this final day of school for my third and seventh graders, here are my thoughts in list form. I love a list don’t you? Cooking : Roast cauliflower and lentil curry seems to be my go-to meal of the moment. Drinking : More water, need to drink more water. Reading: The Goldfinch. Still. It is taking me ages, nearly finished though. Wanting: Activity ideas for the summer break. Looking: At the pile of magazines I need to read. Playing: Catch in the back garden and trying not to destroy any sunflowers with stray throws! Wishing: For some rain on the garden. Enjoying: Snow cones on a hot day. Waiting: To meet the kids at lunchtime as their last day at school is a half day. Liking: Making new jewelry and wearing it. Wondering: Which book to read next? Got a recommendation? 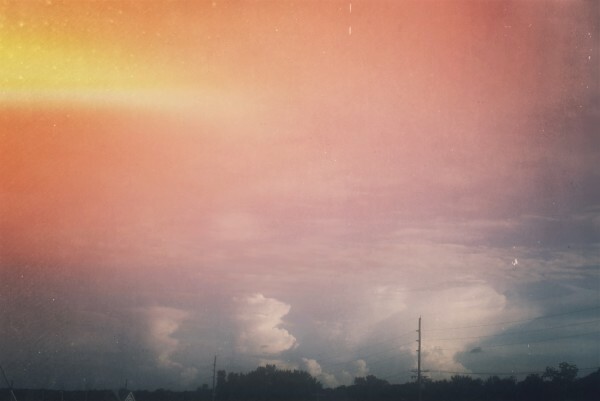 Loving: The sunshine and the clouds floating by. Pondering: Whether to change my jewelry name to Girl Fifteen or keep CatsEatDogs? Considering: Whether to get up early tomorrow and check out a yard sale locally? Watching: ‘An Idiot Abroad’ on Netflix. Hoping: Season two of ‘Derek’ (on Netflix also) is as good as the first. Marvelling: Our growing garden and sunflowers. Needing: String to tie the beans plants to their poles so they get the hang of climbing upwards. Smelling: Honeysuckle as we walk to school. Wearing: My favourite striped maxi skirt and elephant t shirt. Following: Tinkerlab and Artchoo for all of their amazing ideas and art activities. Noticing: How dry my skin is feeling no matter how much moisturiser I slap on. Thinking: What to do with my old blog? Feeling: In need of a hair cut. Admiring: People with lovely grey hair (I am letting mine go natural/grey). Sorting: Photos to put in my Project Life album. Buying: Vintage beads and buttons whenever I find them. Getting: Ready to list new jewels on Etsy. Bookmarking: Photography tips whenever I find them. Disliking: The humidity which I have to look forward to until about October! Phew. Opening: My diary to see what I need to do today. Giggling: At The Steve Wright Show which I am listening to on the BBC iPlayer over the interweb from the UK. Snacking: On Sweet Olive Oil Torta ‘Torta de Aceite’ from Spain, very delicious, wonder where I can get more? Coveting: A fixed lens for my big girl camera. Helping: My neighbour mow her grass. Love your list! Snowcones on a hot day… it is the opposite season here and I confess I am a little jealous that you have the whole school holidays stretching out ahead of you. What a great feeling! Hi Rachel, I like that we are opposite seasons, bit confusing though! Like the time difference. I follow lots of Southern Hemisphere blogs and I love learning lots of geography as well as enjoying the blogs. Hi Michelle, project silver fox is at least an inch underway. I am very happy with my new blog too, couldn’t have done it without Blog with Pip, I know that for sure. Hi Clare, great list ! I would love your Roast Cauliflower and lentil curry – sounds scrumptious. How good is the series of Derek, one of my favourite shows of all time. Book recommendations – I am reading “Love in the Outback” by Deb Hunt which is wonderful.